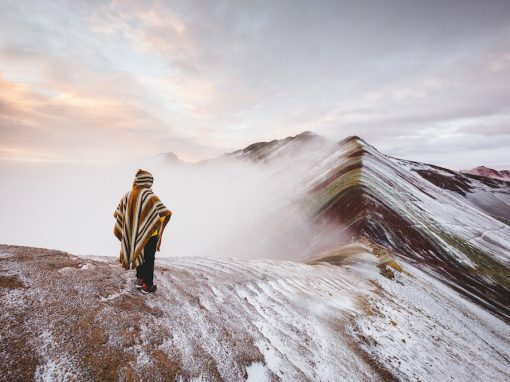 The RAINBOW MOUNTAIN TREK & MACHU PICCHU PACKAGE is the best of both worlds: a stunning trek past snow-capped mountains, turquoise lakes, glacial peaks, colorful striated mountains, all ending with a tour of one of the 7 man-made wonders of the world, Machu Picchu! 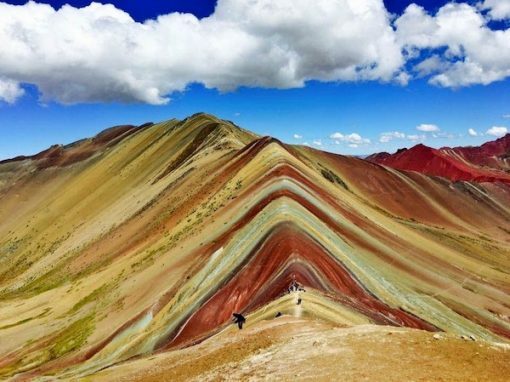 The Rainbow Mountain Trek is a new route located in the high Andes and traverses the incredibly colorful Vinicunca or Rainbow Mountains. This beautiful multi-day hike is tucked away in a well hidden section of the Vilcanota Mountain range. Surrounded by glacial mountains, this route treks in the shadow of the highest mountain in the Cusco Region, Ausangate (6300m/21,000ft). 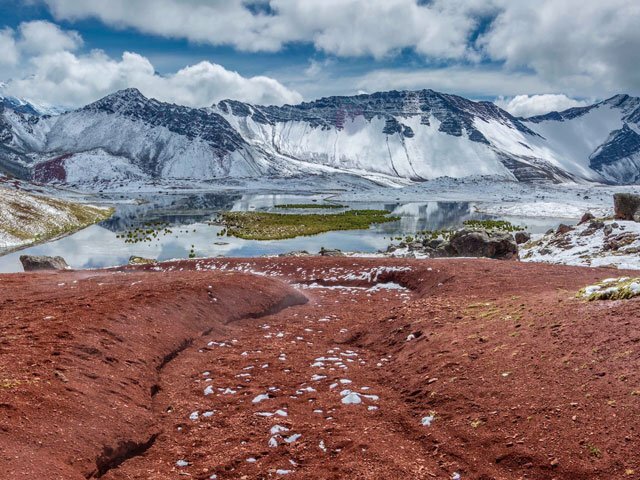 The route is 52km/32.3 miles long and goes from 3300m/10,827ft to 5050m/16,568ft. 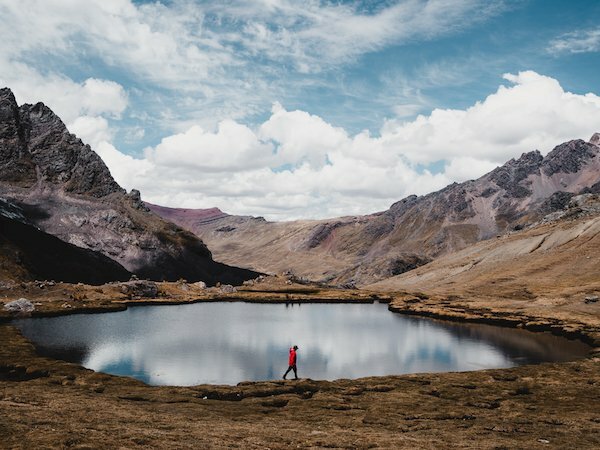 This is a true off the beaten path wilderness trek – above the tree line with incredible views of the Andes and glacial peaks. 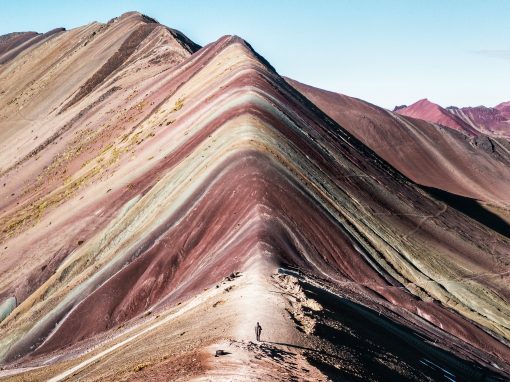 The Rainbow Mountains or Vinicunca Mountains are composed of stratified layers of sandstone. These fine grained rock layers contain large amounts of iron and other minerals which give the mountains the pigments for the various colored stripes. 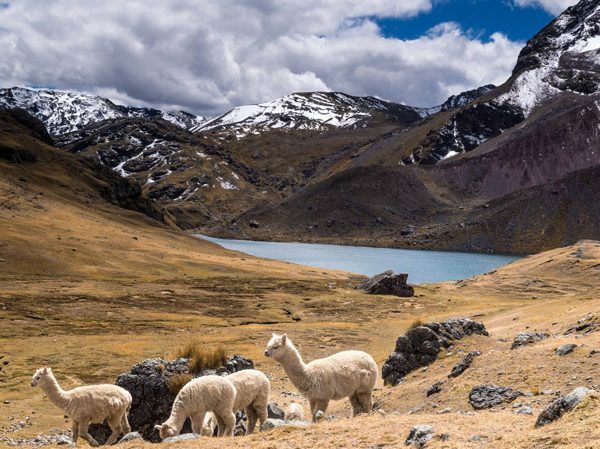 Along your journey you will see turquoise lakes, glacial mountains, llamas, alpacas, chinchillas, and maybe even a wild vicuña. 6 Days not enough? 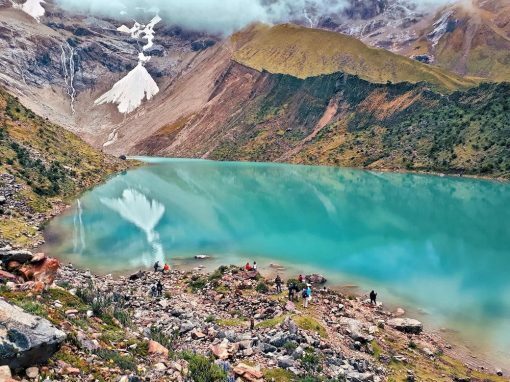 Go on our incredible 9D/8N Extended Ausangate Rainbow Trek Package. 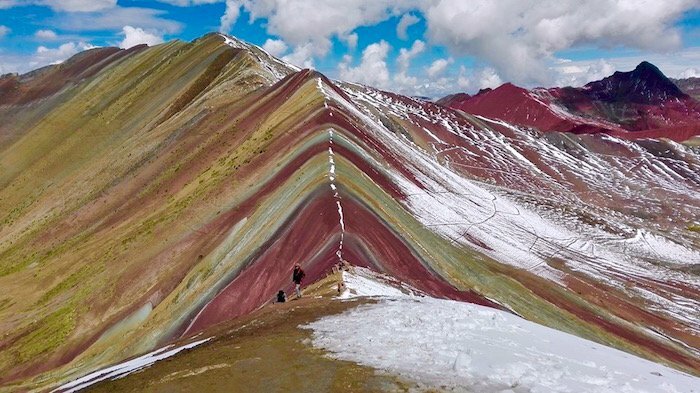 Or if you would like to do the Rainbow Mountain Trek without Machu Picchu you can see the itinerary here: Rainbow Mountain Trek 4D/3N. 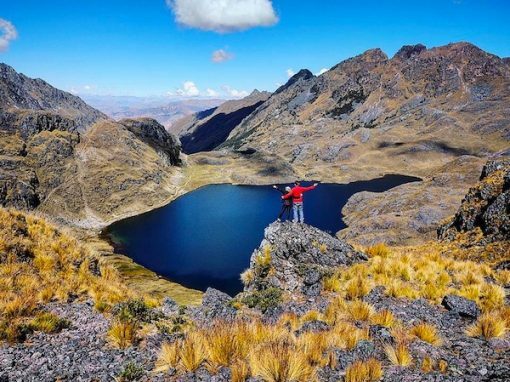 It is essential to be properly acclimatized for this hike, spending at least two or three days in Cusco (or equivalent altitude) before starting. The campsites are at high elevations and therefore will be quite cold in the evenings. 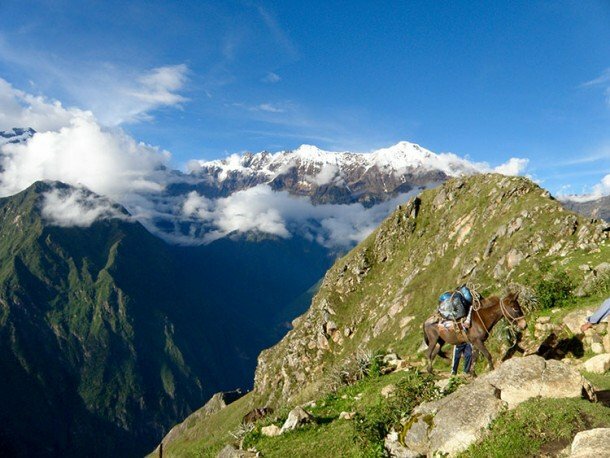 Minimum passengers necessary for trek departure: 2 people (1 person or private/custom treks possible with extra fee). Maximum trekkers per group: 10 people (special, private party groups can exceed maximum). Off the beaten path, pristine wilderness, Vinicunca, Rainbow Mountains, Ausangate Mountain, glacial peaks, turquoise lakes, & Machu Picchu! Yes! Private, custom, add-ons all available. 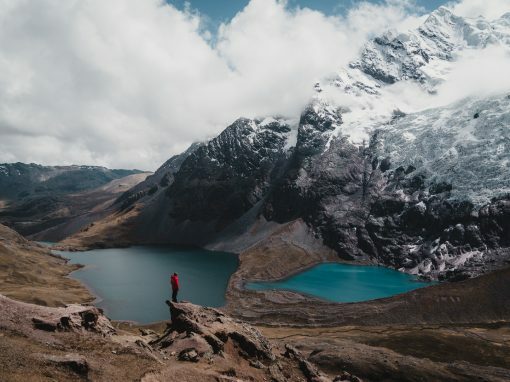 Wake up early with a hot cup of coca tea to start one of the most beautiful days of the trek, enjoying majestic views of some of the highest peaks in the Andes and depths of the beautiful valleys. This morning we will summit the Puca Pass. After an early breakfast we begin our 2-hour steep climb to the Puca Pass at (5050m/16,568ft). 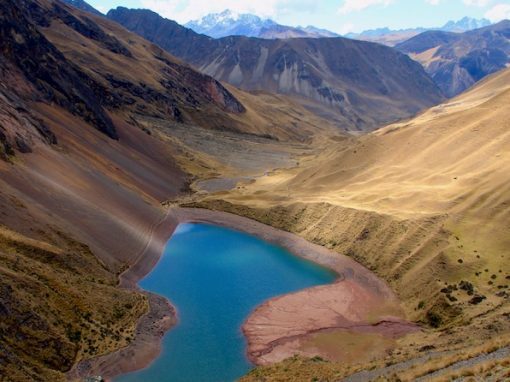 Along the way we have gorgeous views of turquoise lakes and the Ausangate glacier. 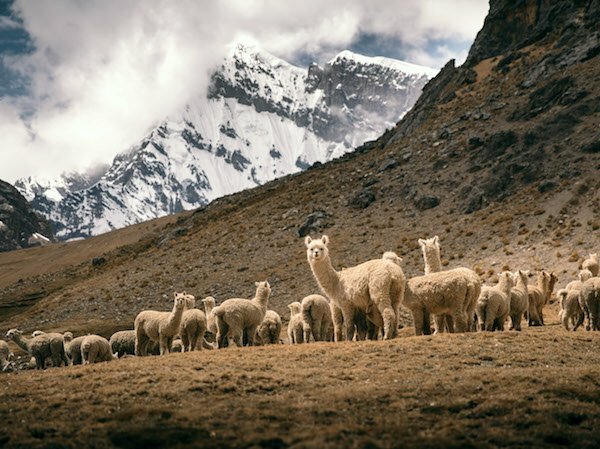 Once you reach the summit of this mountain, you will be located right in front of the Ausangate Mountain and you can enjoy the views of Chillca Valley, with alpaca grazing along these hills. 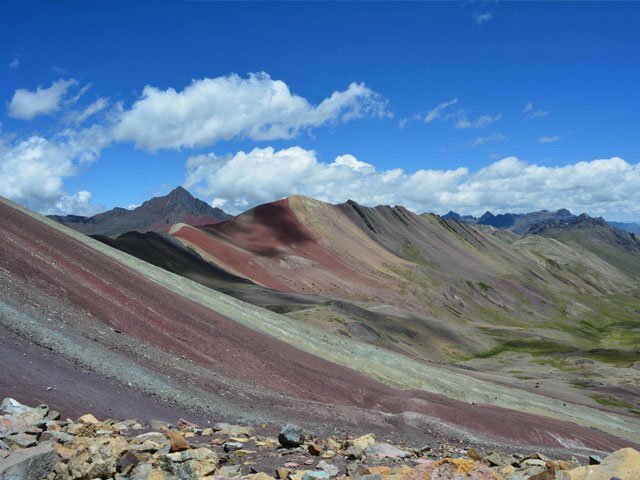 Also from this pass you will see the beginning of the Rainbow Mountain range with their strikingly striated colors. After taking some great pictures we continue gradually downhill for another 2 hours until we reach our lunch spot located in Chillca Valley with amazing views of green hills and snow-capped peaks. 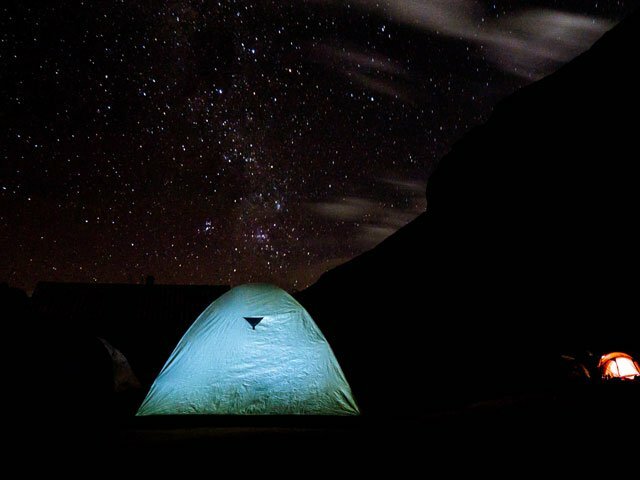 After enjoying your lunch and a little rest and relaxation, you will continue on to the Anantapata campsite at 4400m/14,435ft. To reach camp we will hike along a gentle trail for 2-hours with a short climb at the end. Along the way we may see some condors and vicuñas if we are lucky. After an early breakfast, we hike gradually uphill for 1½ hours until we reach the highest pass of the trek, the Warmisaya (previously known as Pitumarca) pass 4985m/16,3544ft. 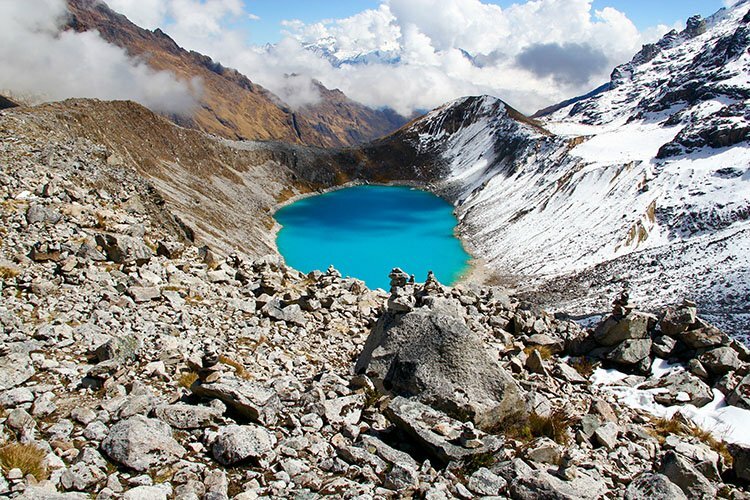 After enjoying the views at the top we descend for 20 minutes to Yanacocha lake. 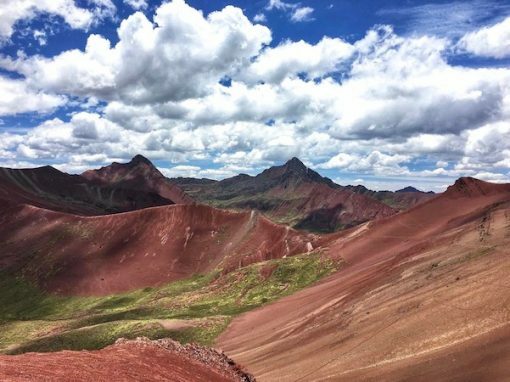 Then we continue for 1 hour to the famous RAINBOW MOUNTAINS (Vinicunca Mountains or Montañas de Colores) and the Red Mountain Valley located at 5050m/16,568ft elevation. 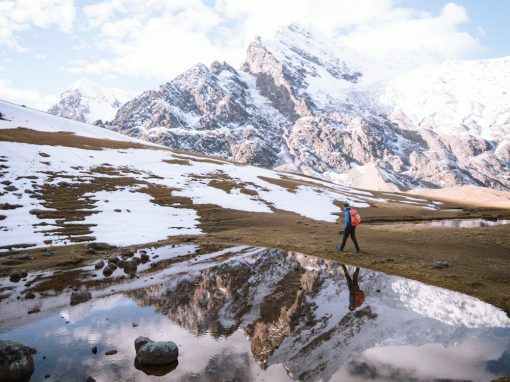 Your guide will walk you to the best spots to get the perfect postcard pictures of these incredible mountains and the other surrounding peaks. 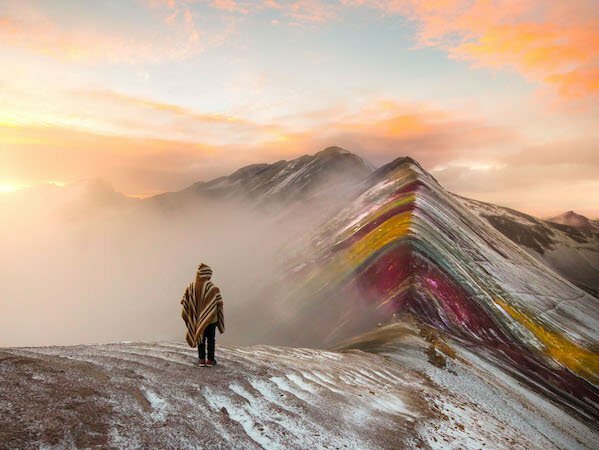 Your guide will explain what makes these mountains so unique: they are composed of various minerals, which make different colors of stone striations. 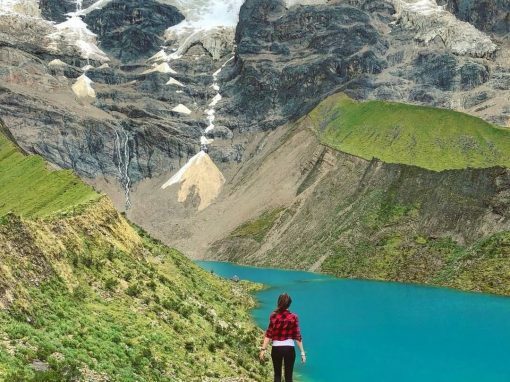 This is definitely one of the most stunning places in South America and one of the most beautiful natural attractions in Peru. There are Rainbow Mountains in only a few other locations in the world. After taking photos and enjoying the view, you will continue on your expedition downhill along the Chillca Valley for about 3 hours where we will enjoy an early lunch and meet our private transport. 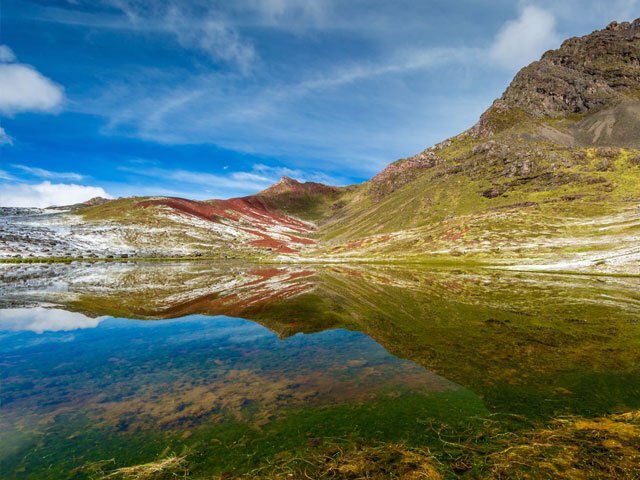 We will then drive back to Cusco – about a 4-hour drive that provides nice views of the Andes, passing some traditional villages along the way. 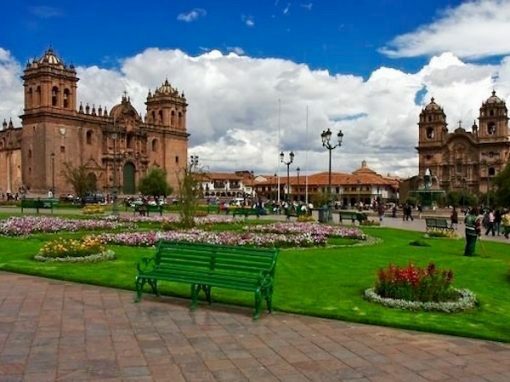 Once in Cusco we will go to our hotel to freshen up and relax before our celebratory group dinner. Approximate walking distance: 16 km /9.95 miles (about 6 hours). Overnight in a hotel in Cusco. After breakfast at our hotel we take our private transport to Maras Village (3,300m/10,827ft). Maras is a beautiful little colonial town, still boasting some colonial architecture. You can see amazing facades made of thin stone, and lintels with sculptures in bas-relief. After exploring Maras we continue driving to Moray ruins located at (3,450m/11,319ft). 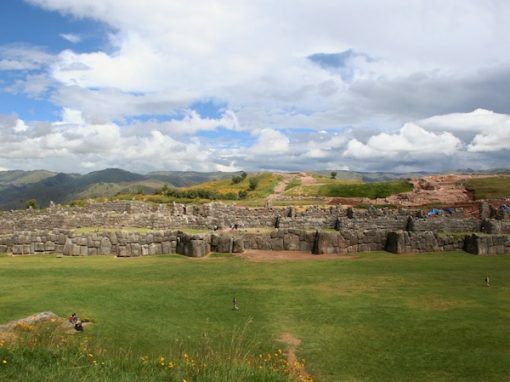 Moray Ruins consist of circular agricultural terraces at high altitude with a complex system of irrigation. 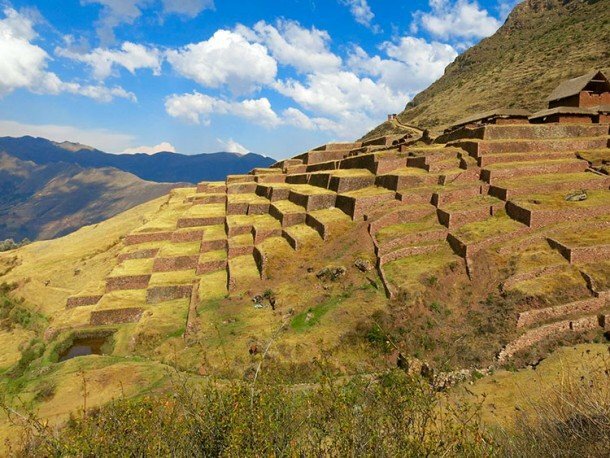 These terraces served as a natural green house to grow an extraordinary variety of crops that would normally only thrive in tropical climates. 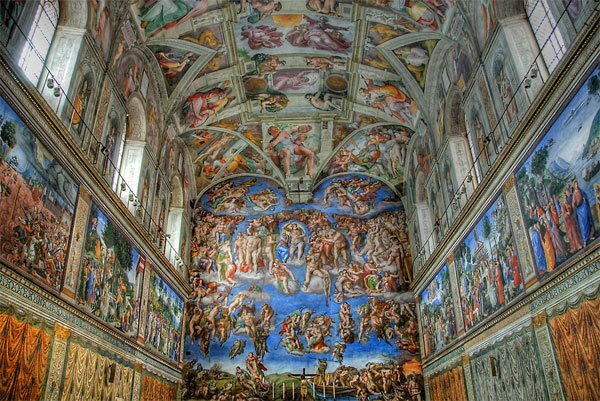 It has also been suggested that they had a cosmological meaning. After exploring the terraces we continue to Salineras, which consists of 3,000 small pools, roughly 5 square meters (53.8 ft²). Every three days, during the dry season, workers fill the pools with salt water that comes from local natural springs. When the water evaporates from the pool the salt is left for collection. 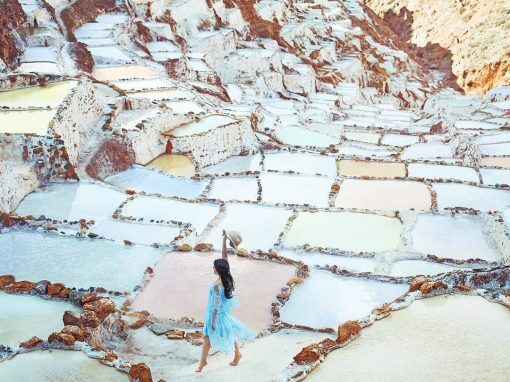 This process is carried out over a one month period until the pools reach an approximate volume of solid salt that is 10 centimeters (4 inches) in height. The salt is ground up, treated with iodine, and packaged and sent to the various markets in the region. After exploring the salt mines of Salineras we take our private transport to Ollantaytambo where we catch the train to Aguas Calientes. Once in Aguas Calientes we check into our comfortable hotel to freshen up before dinner. You can soak in the local hot springs before or after dinner if you wish. Tomorrow we get up early to see the incredible Machu Picchu! Wake up call and breakfast is very early (Approx 4am) in order for us to take one of the first (5:30am, 25 min ride) buses directly to Machu Picchu (2,400 m/7,875 ft). 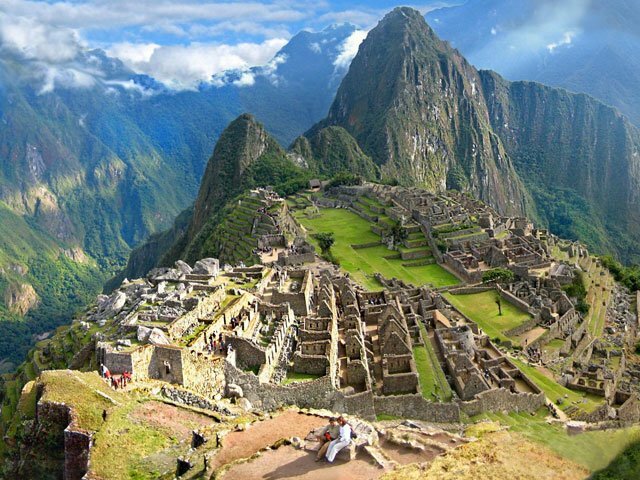 Once we arrive at Machu Picchu you will show your entrance ticket and passport. If you are a student you must bring your ISIC card to the entrance or you will not be permitted entrance. 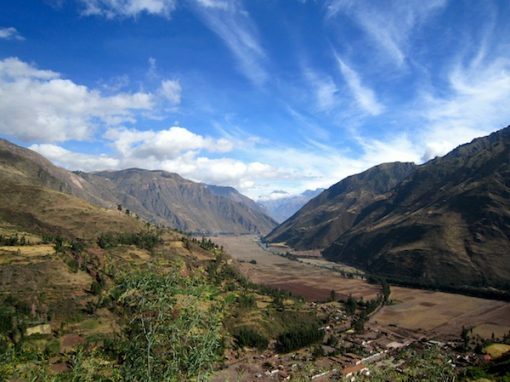 From the entrance, it is a 15-minute walk to the famous views from the South Zone of the farming terraces at the end of the Inca trail. 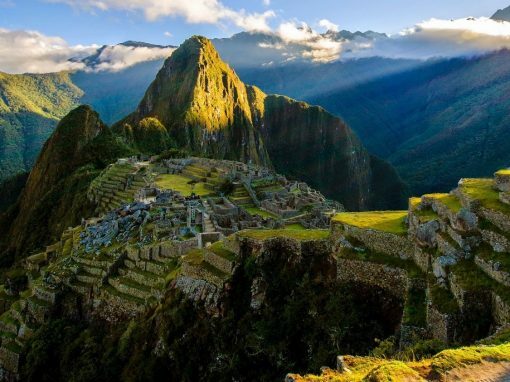 Enjoy watching the sun rise over the ruin site and the fascinating tour of Machu Picchu with your guide who will unfold the mysteries of this magical site, explaining the history and flora/fauna. Your guide will spend about 2 1/2 hours relating interesting and amazing stories, explaining temples and special sectors. Your tour of Machu Picchu will finish between 9 and 9:30am after which you will have a little free time to take photos and explore. The new rules for 2019 have split the entrance times into three slots per day. Our tour includes the first ticket (6-10am) so at 10am you would need to exit the ruin site unless you choose to purchase an extra time slot (or two). If you wish to do one of the extra hikes within Machu Picchu (Wayna Picchu or Machu Picchu Mountain) you would need to prepurchase a permit as well as an extra time slot in Machu Picchu (these new rules are dictated by the Peruvian government and we are sorry for the inconvenience). 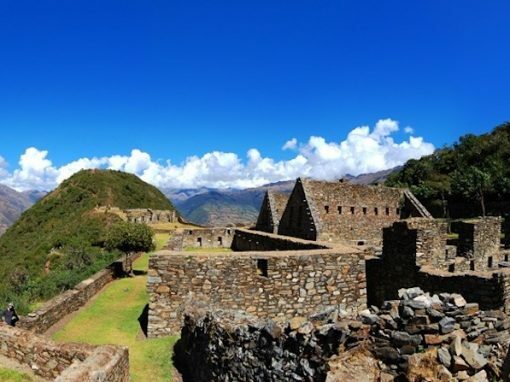 After you are done exploring the ruin site, either at 10am or later if you’ve booked more time, take one of the many, frequent buses down to Aguas Calientes. There are many restaurants to choose from and your guide can also help suggest a nice place to eat. After grabbing a bite to eat you will take the train back to Ollantaytambo where private transport will drive you back to your hotel in Cusco. There are no bathrooms in the ruin site. There are bathrooms right outside the entrance, cost is 1 sol per entrance, and they provide a little toilet paper. If you leave close to the time your ticket expires it is likely they will not permit re-entry. Please do not climb on or deface the rocks or leave trash/debris of any kind. Our recommendation is to add one extra time slot to allow for more time in the Ruin Site (with or without an extra hike). There are hikes within Machu Picchu that you can do on your own if you wish. The hikes that do not require an entrance ticket are The Inka bridge and the Sun Gate (where the Inka Trail ends with a view of Machu Picchu city). 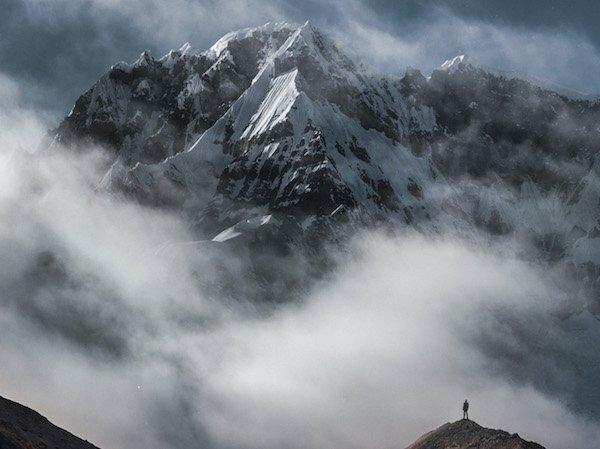 Wayna Picchu Mountain and Machu Picchu Mountain hikes both require a paid ticket and there are a limited number of spots (200 at 7am and 200 at 10am). If you want to hike one of these please let us know well in advance as these spots fill up very quickly. Please note we cannot guarantee you a spot for the mountains requiring tickets and that the trail is very steep and slippery and not for those afraid of heights or with vertigo). We recommend the 10am time slot as Machu Picchu tends to be cloudy in the morning. You are only allowed to hike one of these mountains on a given day so if you would like to do both you would need to return the next day to hike the other one. A minimum of 2 trekkers required for this trek. Maximum of 10 trekkers in a group. Price for 6-10 trekkers: $1200 USD per person, 3-5 trekkers: $1250 USD per person, 2 trekkers: $1600 USD per person. Private treks, single trekker, custom treks, large groups, and packages welcome! Please email us to customize. 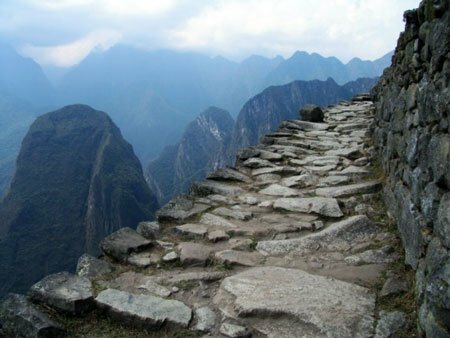 Wayna Picchu or Machu Picchu Mountain Hike (85USD each) – advanced booking required as they sell out early. 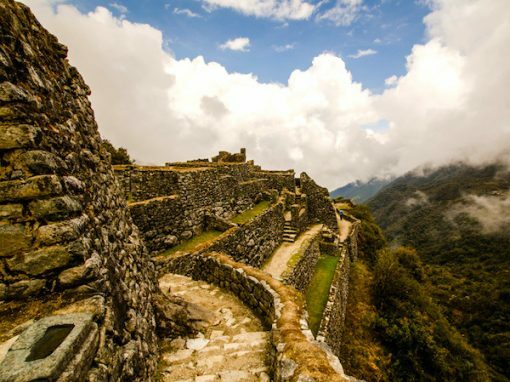 The hike purchase also includes the extra time slot in Machu Picchu. On the trail you should carry a day pack with your camera, water bottle or bladder, snacks, cold weather clothing and rain gear or poncho in case of rain (unlikely in dry season – May to October) and anything you will need before dinner as horses do not walk alongside you. Your bag will be waiting for you at every campsite. We will provide you with a dry bag for your overnight gear to be carried by horses. Helping Local Children or Andean People (Optional) Along certain treks we may encounter some local children and Andean people. If you wish to lend a helping hand you may bring some clothes, toys, books and school equipment (used or new), toiletries and other essentials, and new/sealed medication for a variety of ailments. You will be rewarded with their gratitude and beautiful smiles. Please do not give candy or sweets as they do not have access to dental/medical care and tooth decay can lead to serious illness. For those who wish to help but take a trek that does not pass local people or villages you can leave your donated items with a Killa Expeditions representative and we will distribute them to one of the local communities that we support. There are a variety of other ways in which to lend a helping hand to local communities (charity events, building schools, and much more). If interested please get in touch! 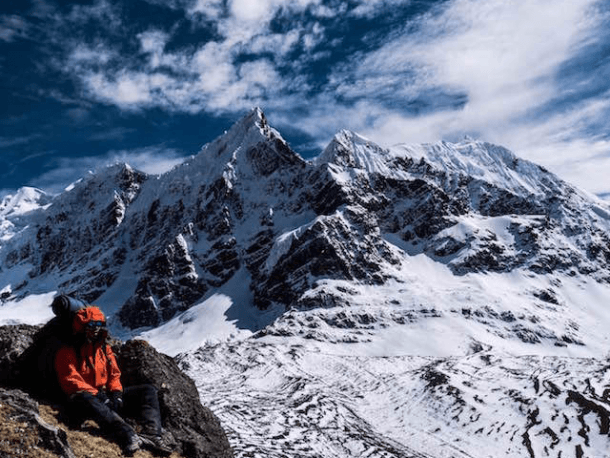 Mattress pad – while we provide a mattress pad, being rested is essential for a great hiking experience and we find that sleep habits are very individualized. Therefore we recommend bringing your own pad that you know you are comfortable sleeping on, as well as any other sleep items you might want to have (camp pillow, etc). View latest travel advisories and recommended vaccinations and medications for the regions you plan to visit. 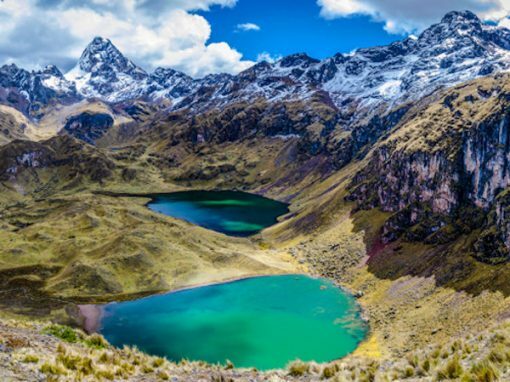 For Lima, Cusco, and Machu Picchu there are generally no vaccinations required. If you are going to the jungle or any other higher risk area you may need: yellow fever vaccine, medicine for malaria, typhoid vaccine, etc. Click here for updated info: http://wwwnc.cdc.gov/travel/destinations/peru.aspx NOTE: Please visit your doctor several weeks before your trip to discuss any health restrictions you may have, medications he/she might recommend for you personally, and to seek more information about any vaccinations or medications recommended for Peru (or any of your other destinations). Additionally: speak with your doctor before taking any over-the-counter and/or prescription medications alone or combined.